911uk.com - Porsche Forum : View topic - iPhone Becker cable, do I need the fuse? 911uk.com Forum Index > 996 (1997 - 2005) > iPhone Becker cable, do I need the fuse? Posted: Sun Apr 15, 2018 5:19 pm Post subject: iPhone Becker cable, do I need the fuse? The cable I’ve bought has an in-line fuse but what I didn’t realise was that it needs connecting up. There aren’t any instructions with it so could anyone help me out? Please be very basic as I’m not too hot on electrics! Do you have a radio or a Pcm ? Any chance you could remove either and take a photo of the black plug ? thats the main power wires to your radio/pcm . ok assumeing not then that blue plug goes into the cd changer port on radio/pcm so if you have a cd stack system fitted it will no longer work . 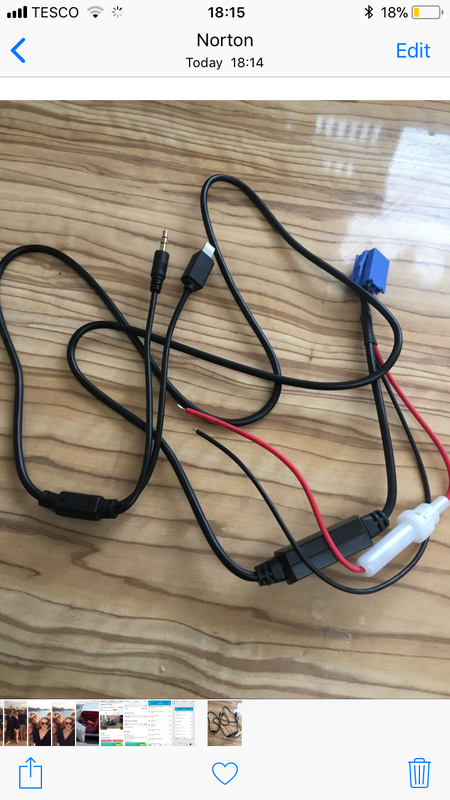 Ive looked at a general wiring diagram .. hence id rather have a picture of your plugs but the Red/Black wire in the black plug is battery voltage , id rather it was connected to an ignition feed but atm i cant see one with out the details . permanent feed is fine as long as you dont leave the phone connected when the car is locked . So .. as it stands you need to connect the red wire to the Red/Black wire in the black plug and the Black wire to the Brown wire in the black plug . Im loathed to say this but if you havent got or used a soldering iron .. then .. i cant belive im saying this .. then .. its actually hard for me to get this out .. then .. then .. use a scotch lock .. omg someone shoot me now ! Scotchlocks, nasty little things. Do make sure your use the correct size. Thanks very much, the cars in the body shop at the moment so I can’t take a pic. Mine has the radio and cd in the head unit, no multi changer or sat nav. I do have a soldering iron and im not afraid to use it! so im happy to give your colour suggestions a try. I’ll hopefully be tackling this next weekend so i’ll take a pic and get back if it looks different. Back in the day they used to be the norm .. even at dealerships .